A simple studio shoot of Jim talking about the new album, living in Taormina and his relationship with Charlie is intersperced with shots of Jim in a park and browsing records in a record shop. At various points, clips from the Home video are shown, and the entire video is repeated at the end of the interview. The interview clocks in at around six minutes, and was edited from a much longer interview which was made available on DVD (see below). JK: " I think there's always a temptation with every album 'Oh, it's a new phase, oh it's a new period'. And, indeed, every album does feel like a new chapter. 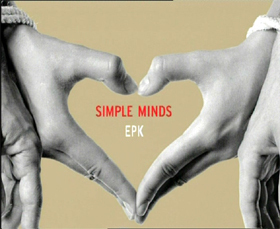 But I think generally this time, there is a rediscovery: first of all with our engagement with the music, I think we've found some of the old strengths of Simple Minds. And obviously we wanted to do that. People would say 'Why would you do that - after what you have done? What's the motivation?' And the motivation is nothing else other than the sheer desire to do it. " JK: " I believe there's two, possibly three, great radio songs. And Home... I can understand why Home was chosen inasmuch that it's a classic Simple Minds song in the sense of driving rhythm, atmosphere... I love Charlie Burchill's guitar riff. As soon as it starts I think you say, I know you say 'That is Simple Minds' and I hope you then say 'That is Simple Minds on form'. " JK: " The album was pretty much written in Italy; written in Sicily. I live there. And my partner, Charlie Burchill, he lives in Rome so it's just along the road. People ask 'How does it influence the music?' It doesn't influence in the sense that... you know, writing the famous 'Neapolitan' melodies. But it influences in the sense... I believe you get up in the morning and you feel good, then I feel you will want to do more good work, you will want to be creative, you will be up for the challenge. " JK: " I think this decision to live in Sicily really reinvigorated me as a person. Not just to have some rock star holiday home in the sun but to be integrated in the village, to learn the language, to play football with the boys, to listen to the records that the DJs were playing. It seems a little over romantic to say 'reborn' but I do say to a large extent I have been reborn ." JK: " It is amazing that I have known Charlie Burchill since we were eight years old which makes it about fifteen years ago. [Laughs] My mother is always quick to remind me that at least that's one relationship that worked! We are Scotsmen and we're a bit macho and stuff and so we don't say stuff like 'Be my best friend.' But we are. People say 'Why doesn't Charlie do interviews?' and I say 'Because he's smart.' [Laughs] He lets me to it all and takes half the money! " JK: " My daughter, who's twenty and into music, will say 'I heard this thing and they say it sounds like your band. Does it?' And it's actually hard for me to identify it. But for me, what's more interesting when they say the band has the same spirit. Spirit's an intangible thing. Sound you can say 'That's the same piano sound'. But spirit means it's something you feel or you don't. When I hear a band like Coldplay I feel they're working with the same spirit as bands like us. " JK: " We don't expect anything. We never have. It would be wrong of us to ask for anything extra. I've had a fantastic career, fantastic life, I've already been rewarded. Would I like to sell another five million records? I would love it, I'm a Scotsman. Is it going to change my life? Not at all! " Sanctuary distributed a handful of videos with typed spine stickers. Hardly any have surfaced. This is the whole, uncut interview with Jim from which the video EPK was produced. 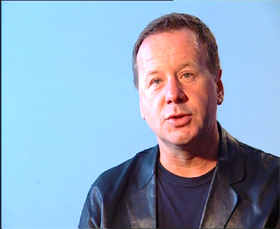 JK: " The first ten years of the career of Simple Minds in the eighties, I don't know how we managed to do so much work. We did, probably, about seven or eight albums, seemed to tour constantly, and I call it work but it was sheer pleasure the whole time. But the reality was come the beginning of the nineties, probably (although we wouldn't admit it at the time), probably we were dead on our feet. We really needed to step back. Not just the fact that things were starting to crumble around the core of the band, certain founding members no longer wanting the lifestyle etc., but also creatively - it was getting harder to really, first of all, impress ourselves. So, come the middle of the nineties, we never quit, we never split and it never occurred to us, but we did step back. Of course, you have to address other things in your life as well, it was time to do that. 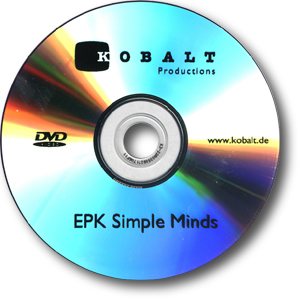 But for that reason, although we were continuing to work sporadically, it would be easy for people to think that Simple Minds had perhaps stopped or gone to band heaven. But, in fact, it was not the case; we would play occasionally, we released at least two albums, and then finally, two years ago, we toured extensively. 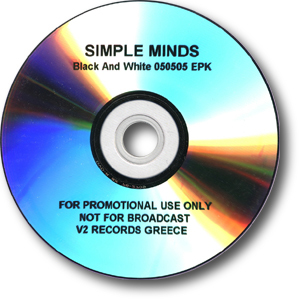 Everything felt fresh again, everything sounded good again, and that lead us to the new recording of Black And White which, hopefully, has the classic sound of Simple Minds. " JK: " The opening track for instance, Stay Visible, I think is one of the earlier songs we had written and as we were writing it, it gave us a lot of encouragement in the sense that I can genuinely say that as we were hearing it, I started to get - you say 'chicken skin' - you think 'this is working, this is who we are, this is what we did best' and Stay Visible, not only do I think it's a great opening track, the sense of energy in it, the drama in it, Mel Gaynor shows why he's the best drummer in the world, Charlie Burchill shows why he's one of the most underrated guitarists in the world (according to me), and the drama - and even the energy of it, it reminds me of one of the punk bands. I have to admit, I love people like Killing Joke and I hear a big band who influenced us, they didn't get commerical success, I hear Magazine and cult bands. But I hear all our early influences in this song. And yet, it avoids being some eighties, retro, parody. So, I think that's our calling card. That's a great opening track. And it's the kind of track that definintely one would think would be better when it comes to playing live. " JK: " It does feel that we're now fully immersed again in music. It's not like we have a nice holiday home and we put our toil back in the music industry and disappear. I say this because even today, before we began these interviews, I was already working on a little bit of a new song. There are some albums and you come out and you are exhausted at the end of it: 'That was good but I feel exhausted. But it's a good exhausted.' We came out of this album with energy. We came out of this album ready to start another record. " JK: " We don't expect anything and I think we never have. It would be wrong of us to ask for anything extra. I had a fantastic career, fantastic life; already been rewarded. Would I like to sell another five million records? I would love it. I'm a Scotsman! [Laughs] Is it going to change my life? No at all! " JK: " I think I am pretty modest except when it comes to playing live. When I say Simple Minds are one of the best live bands I think it's a unique selling point - or fairly unique. But, one of the downsides of having a long career and many songs is sometimes when it comes to putting in a new song, the new song doesn't get a chance amongst the more iconic songs. You know: 'What's that?' Or the audience gets a little impatient, because they don't know it so well. It's hard. But I wouldn't be afraid to play a lot of this record live because I think, even though the songs will have to grow with the public, I think the sheer dynamics, and drama, and melodies are almost good enough where you can grasp it first time. " JK: " I said I felt we were one of the great live bands, but that means we have to prove that every single night. We don't think 'Well, tonight's Leipzig but tomorrow's Munich! '; we think 'Tonight's the night! Tomorrow doesn't exist. And last night doesn't exist. It's history.' And when the audience is coming to see you, they don't care where you were the previous night, or where you are going to be the next week. As far as they're concerned, you're there, and in the case of Simple Minds, it would be a disaster for people to come and think 'That wasn't as good as I thought. They don't have the energy anymore.' We would rather stop. But we're not going to let that happen. " JK: " One of the big things that happened in my life, about five or six years ago, just at the period where I was perhaps feeling a little lost in my artistic life, I finally decided to persue one of my passions: to live in Italy, in the south of Italy. And, I think this decision to live in Sicily, really invigorated me as a person. Not just to have a rock-star holiday home in the sun but to live in a village, to be intergrated in a village, to learn the language, to deal with and understand the mentality, to play football with the boys, to listen to the records the DJs were playing and, in a sense it seems a little over romantic to say, reborn; but I do say to a large extent I have been reborn. " JK: " It is amazing that I have known Charlie Burchill since we were eight years old which makes it about fifteen years ago. [Laughs] My mother is always quick to remind me that at least that's one relationship that worked! We are Scotsmen and we're a bit macho and stuff and so we don't say stuff like 'Be my best friend.' But we are. We're probably more like - even more than brothers. But it is intense between us. We fight. And it would seem because I do all the talking that I'm the boss. But I guarantee you it's not like that. One day he's the boss, the next day, maybe, I'm the boss etc. People say 'Why doesn't Charlie do interviews?' and I say 'Because he's smart.' [Laughs] He lets me to it all and takes half the money! " JK: " I get tired of Charlie's hairstyle. He never, ever changes it - ever. I've had some terrible ones, some decent ones but he's one of these guys 'Why don't you ever get older?' It pisses me off. But his riffs, his music, I can genuinely say ever time I get a bunch of ideas from Charlie's I can't wait to put them on and listen to them etc. And I can say, hand on heart, I've never been disappointed. Sometimes there might be something and I don't quite see it as he sees it but usually we are dramatically in sync. " JK: " My daughter, who's twenty and into music, will say 'I heard this thing and they say it sounds like your band. Does it?' And it's actually hard for me to identify it. I think, there is a style - a sonic style - that I think passes on. And someone'll say 'Coldplay does this song... or Coldplay and Simple Minds...' Yeah, well if you're using a piano, and using a guitar, and you're using a heavy drum, it is going to sound like that, but for me, what's more interesting when they say the band has the same spirit. Spirit's an intangible thing. Sound you can say 'That's the same piano sound'. But spirit means it's something you feel or you don't. When I hear a band like Coldplay I feel they're working with the same spirit as bands like us. " JK: " There was this one style of music, rock music which was really quite cult... I don't know if you can call it this anymore, it's not really PC, but it was called Krautrock. And there was these bands from Germany like Can, Faust and bands called Neu, La Dusseldorf and, of course, Kraftwerk. And thinking about it now, they were the precursor of punk. Because this was garage music, this was obviously people who were renegade. It wasn't so much rock-and-roll because it had European melodies, that's what I loved about it, and guitar players like Michael Roffer, they never get the credit that they deserve in my opinion. You look at a great artist like David Bowie, he gets all this credit many times, but particularly Brian Eno, as being the innovators as they came to Berlin with a record like Heros and Low. But these German guys showed them the way. To this day, that music still influences us. Kraftwerk obviously get a lot of credit, but I still don't think they get the credit they deserve. Of course, they hardly pushed themselves but in an ideal world at a certain time, if you were to have a Rock-And-Roll Hall Of Fame, in my opinion there has to be a few German guys in it. " The DVD was produced in very limited numbers and hardly distributed. This was a copy, run off by an Australian media company. 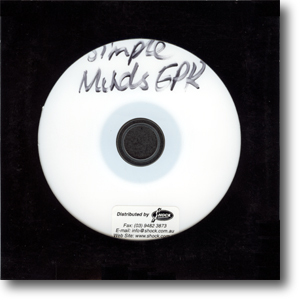 It looks like they simply wrote DVD-W copies as and when required and then sent them off with handwritten labels. 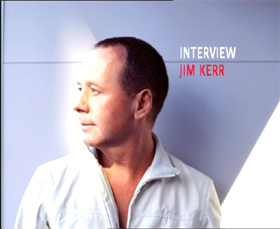 This is the whole, uncut interview with Jim from which the video EPK was produced. 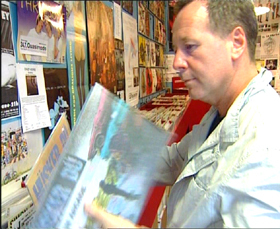 See the Australian DVD (above) for a transcription. 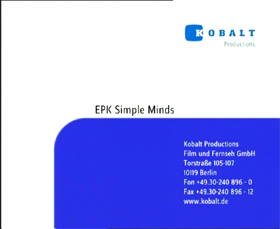 This was the DVD produced by Kobalt themselves for distribution. 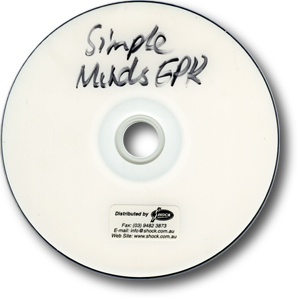 No sleeve, but the DVD featured black printed titles instead of handwritten titles. The Greek version of the DVD is particularly sought after. 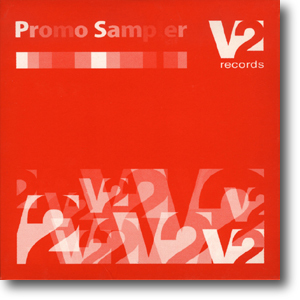 Not only was it a professional DVD produced by V2 but it was packaged in a custom V2 sleeve. Only 20 were made.